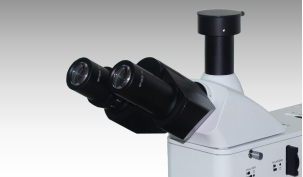 Excellent UIS optical system ensures excellent optical performance. 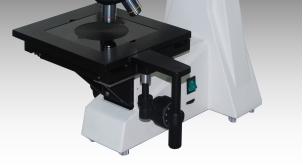 Compact and steady main frame body offers excellent anti-vibration performance. 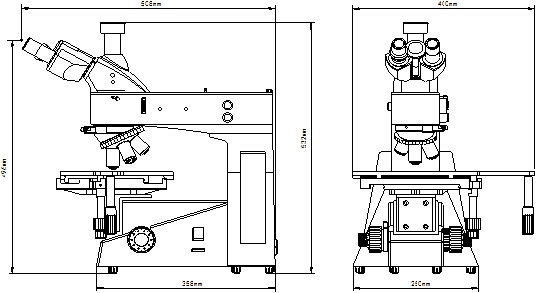 Large and movable mechanical stage is adapted, to achieve fast observation of big size specimen. Ideal ergonomic design, offering easier operation and wider space. 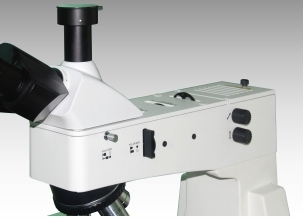 The gemel mode trinocular is inclined 30 degrees, offers comfortable operation for the users. The eyepiece field of view is Ф22mm. Using 12V 50W halogen lamp for illumination. Using the Kohler illumination, the aperture stop and field stop are adjustable. 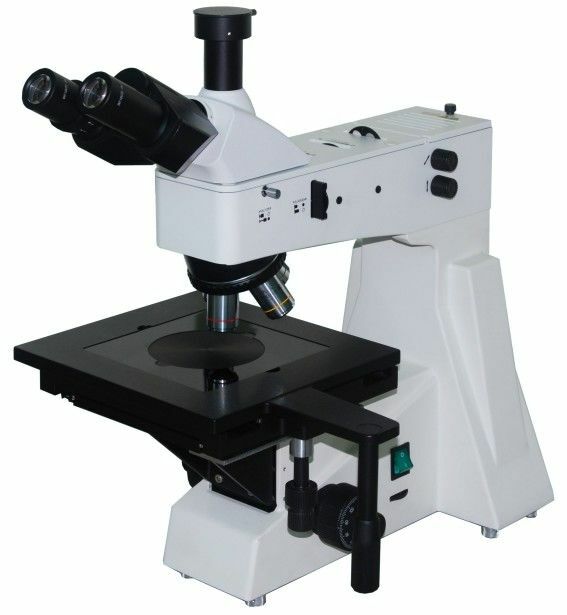 The polarization generator is able to adjust the angle by 360 degrees, to observe the micro image in different polarizing status. 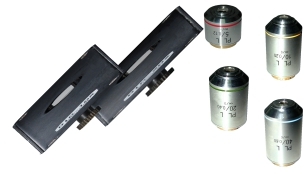 Illumination coolant is considered, ensures the surface temperature is under controller, offers safer operation. Easy changing of the lamp, not requiring any tools. 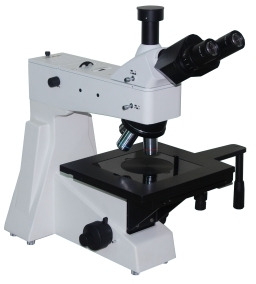 Equipped with high quality DIC objectives and DIC observation system, in order to show the clear edge and 3D embossed image. Through the accessory of the camera adapter, users is able to install cameras for the observation. 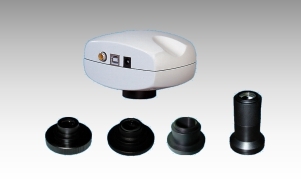 Focusing system Coaxial adjusting of rough/fine focus , fine adjusting pitch 0.8um, tension adjustable for the rough focus adjusting, including lock and limit devices.